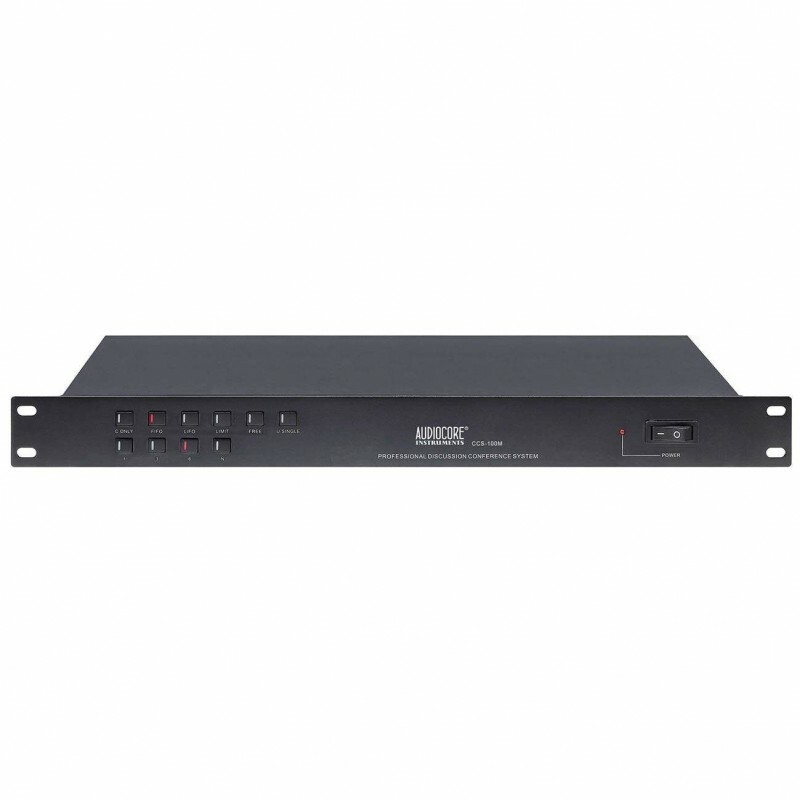 Suited for the Audiocore CCS-100 conference mic series, this Master Control Unit is able to power up all the cabled conference microphone attached to it up to 60 mic. You can set it up in a daisy chain fashion to an extender machine for added microphones support. Audiocore VD-5000 Single MicrophoneWith its outstanding audio quality, the Audiocore VD-5000 Wireless System offers numerous potential applications for live performances and permanent installations. The working UHF frequency range is 734 MHz to 776 MHz. Both the handheld microphone and belt pa..